A few months back, Queens of the Stone Age released a video that Billboard described as “a Satanic Fever Dream.” That’s a pretty perfect description for “The Way You Used To Do,” the masterful clip by visionary director Jonas Åkerlund (Metallica, Beyonce, Taylor Swift). The only catch was that up until today, the video was an exclusive to Apple Music. Fortunately the good folks at Matador know that the demand for all-things QOTSA exists well beyond a single platform so they’re now unleashing it across the board! “The Way You Used To Do” is the first single from Villains, released on 8/25 and immediately topping the Billboard charts at #1. It was also accompanied by an announcement of a world tour, which the band is currently in the midst of. Described as “grisly and jumping” by Rolling Stone, it’s a collage of multiple fuzzed out riffs colliding in the middle underneath Homme’s signature crooning. It’s not easy to effectively create a soundscape that is simultaneously as heavy as hell but also has the sonic separation to hear each note with such clarity. It’s a sound that Queens have essentially written the book on, and it’s on full display here. 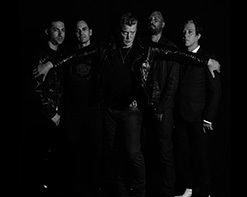 For the video, frontman Josh Homme conceived of a concept that plays tribute to Cab Calloway and the film Hellzapoppin’. The video begins with Homme telling the camera as he enters a building “Wait til you see this deal, man! It’ll blow your mind.” From there he rides a wide spectrum of set changes, costume variations and a pendulum of color palettes all while shaking his hips and serenading the camera in tow. The beauty of the whole terrifyingly terrific clip is how remarkably easy he makes it all look. Of course, a production of this nature is not easy to pull off, hence the enlistment of the Grammy-award winner Åkerlund to bring this vision to life. 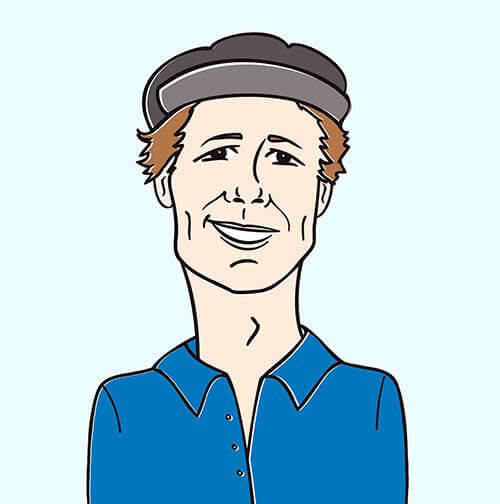 With three Grammy Awards and six MTV Video Music Awards under his belt, he has made a name for himself by pushing boundaries on the visual spectrum and incorporating short film feelings into his work. The end result is a spectacular piece that merges Homme’s vision of blending Hellzapoppin’ with the hell-raising style of Queens of the Stone Age. Speaking about the video, Homme says “I fully realize that may be a little more than some are open to, and that’s perfectly fine with me. There’s the door.” Call it a hunch, but we doubt anybody will be rushing for the exits on this one. We’re here to help get this video into any and all programming, so please get in touch with us here at HIP Video Promo to make it happen. Please email us at info@HIPVideoPromo.com or visit www.QOTSA.com and www.MatadorRecords.com for more info on Queens of the Stone Age.